Colin Powell School Dean Andrew Rich. 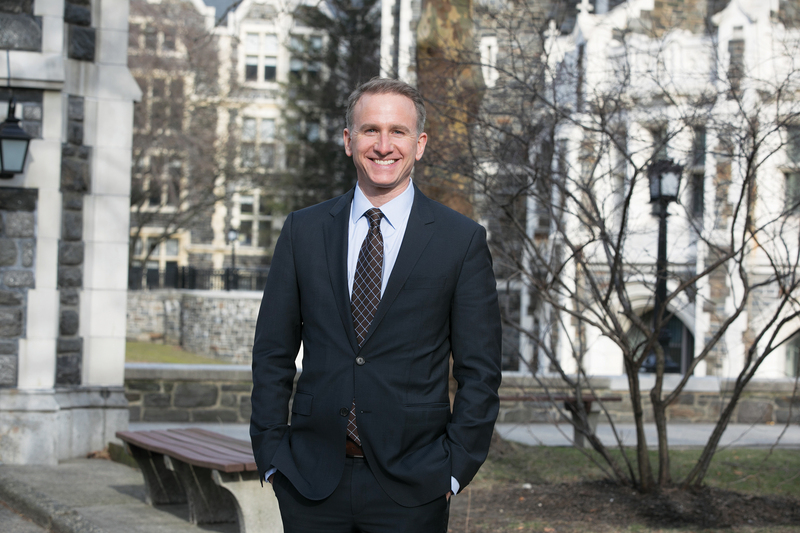 Andrew Rich, CEO of the Harry S. Truman Scholarship Foundation and visiting professor at The City College of New York, is named the Dean of the Colin Powell School for Civic and Global Leadership and Professor of Political Science. Since 2011, Rich has been executive secretary and CEO of the Harry S. Truman Scholarship Foundation, an independent federal agency that provides merit-based Truman Scholarships to college students who plan to attend graduate school in preparation for careers as public service leaders. During his tenure at Truman, the foundation has enjoyed record numbers of applicants and institutions participating in the Truman Scholar competition. Rich has expanded the range of substantive programming for Truman Scholars as well as the foundation’s communications and development initiatives. During his years at the Truman Foundation, Rich has also served in a part-time capacity at CCNY’s Colin Powell School as executive director of the Skadden Arps Honors Program in Legal Studies and academic director of the Semester in Washington, DC Program. From 2009-2011, Rich was president and CEO of the Roosevelt Institute. At Roosevelt, Rich launched the institute's think tank and oversaw efforts to expand and strengthen the Institute Campus Network. Rich was previously an associate professor and chairman of the Political Science Department at City College of New York, as well as deputy director and director of programs at CCNY’s Colin Powell Center for Policy Studies. Rich is the author of “Think Tanks, Public Policy, and the Politics of Expertise,” and he has written a range of articles about think tanks, interest groups, foundations, individual donors and the role of experts and ideas in the American policy process. He is a graduate of the University of Richmond (B.A. ), where he received a Truman Scholarship. He earned his Ph.D. at Yale University in political science. Located in the vibrant New York City neighborhood of Harlem, CCNY’s Colin Powell School for Civic and Global Leadership builds upon an exceptionally strong tradition in the social sciences at City College and offers students a living laboratory in which to study and conduct research in their chosen fields. The Powell School’s hallmark values of service and leadership permeate every aspect of our work and animate City College’s unflagging and historic commitment to access and excellence. The mission of the Colin Powell School is to transform students, faculty, communities, and the traditional university experience by adopting problem-based approaches to education. By promoting the values of service, engagement, and leadership, we enable our students to energetically address the challenges of the 21st century. By fostering creative and public scholarship, we ensure that our faculty produces and disseminates scholarship that is both relevant and in-touch.